Fonal Records will release the fourth album by Eleanoora Rosenholm titled Talvipalatsin puutarhassa (transl. In the Garden of the Winter Palace) on November 30th 2018. 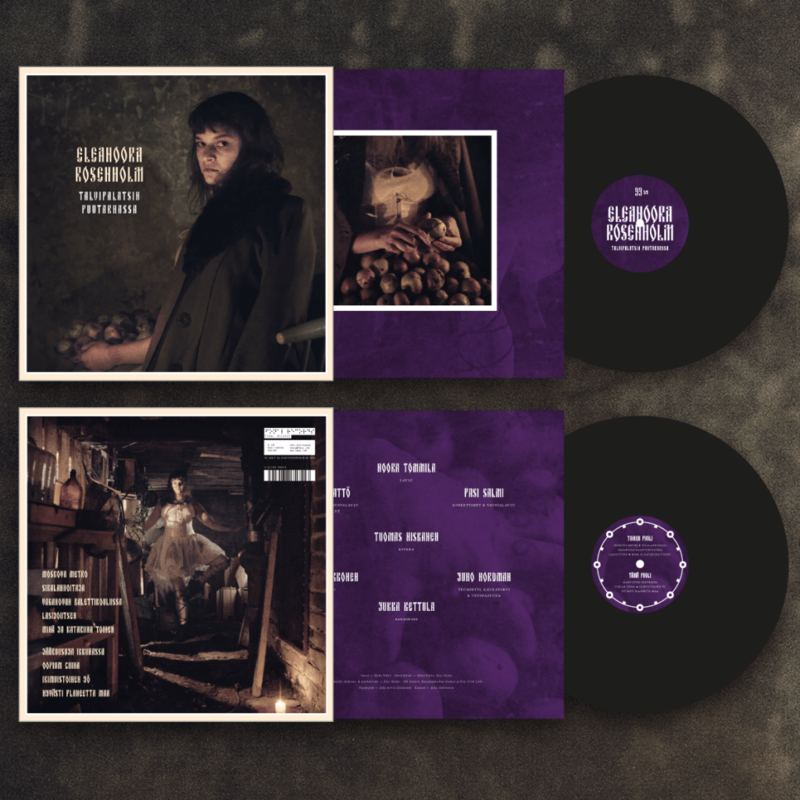 The album is now available for pre-orders in the Fonal online shop on vinyl and cassette. Digital version will be available in Spotify and other platforms on release date. The first single release from the album is a track called Lasijoutsen (transl. Glass Swan) and will be available November 2nd in Spotify and other digital platforms. Mika Rättö (Circle, Rättö ja Lehtisalo) has once again penned all the lyrics for the new Eleanoora Rosenholm album and also plays all the drums on it. Most of the songs are situated in the old Soviet Union. ”The idea begun from Vaganova ballet school, where Eleanoora applies as an exchange student. However she is not accepted in and takes revenge on the school by rubbing soap on its dance floors”, explains Rättö. Pasi Salmi (Saijaa Saijaa, Magyar Posse) has composed, played and also recorded the new album. ”This time we have more acoustic instruments. We recorded horns and drunken Cossack choirs to create the sound of the Soviet Union. This album has been recorded in multiple places and I believe that gives it a certain gangly sound. Despite of this, Talvipalatsin puutarhassa is the most thematic of all the Eleanoora Rosenholm albums so far”, says Pasi. Eleanoora Rosenholm’s character is once again channeled by Noora Tommila with her unique voice. Talvipalatsin puutarhassa took six years to make. At one point the recordings were put on hold for as long as three years as Rättö was busy filming his first feature film Samurai Rauni and writing his third book. These projects had a big influence on the lyrics making them more storylike. Cover photo taken by Juha Arvid Helminen and album layout by Eetu Henttonen.